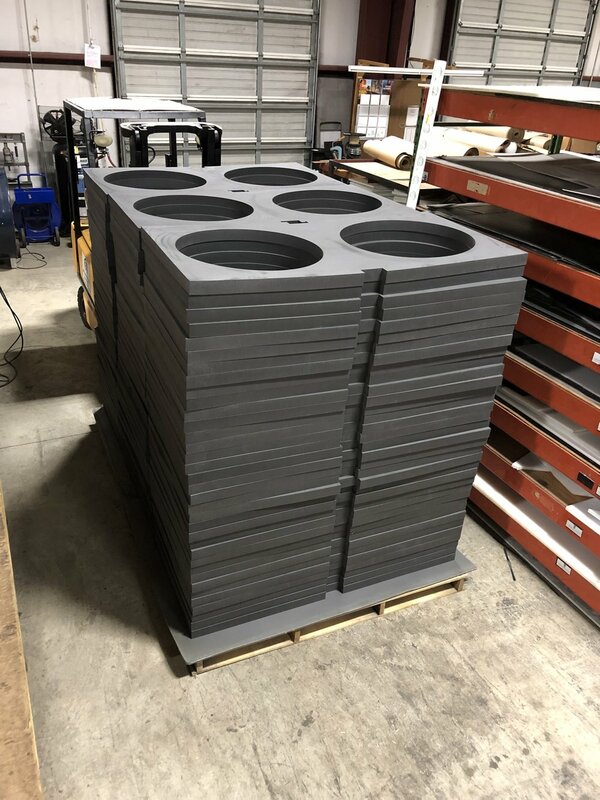 Waterjets are excellent for cutting foam and sponge rubber materials for case liners, drawer inserts, and other packaging solutions. Programs can be customize to best suite the customer’s preferences for layout and fit, and the waterjet fabricates these materials particularly clean and accurate! These sponge rubber liners are adhered inside a case to hold items in place.